Perfect Bars are my faveeee for when I don’t have time to make a meal. They have so many amazing flavors and all my favorites are in this variety pack. Winner winner chicken dinner!! 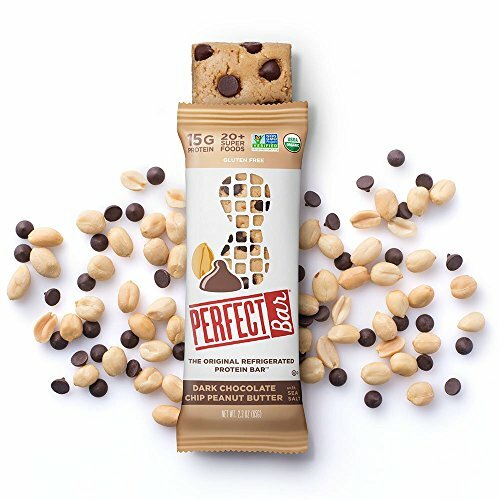 FRESH FROM THE FRIDGE, PERFECT ON THE GO: Perfect Bars are kept refrigerated for optimal texture and tastiness, and stay good for one week out of the fridge – perfect to take on-the-go! TRULY TASTY: Made with freshly ground nut butters and organic honey, our bars are a perfect blend of creamy and crunchy with a cookie-dough-like texture sure to please! HEALTHY SOURCE OF PROTEIN: Each bar is packed with 12-15g of whole-food protein (no whey or soy) to keep you satisfied throughout the day. WE PUT THE NUT IN NUTRITIOUS: 20 superfoods — fruits, veggies, seeds and oils for a convenient source of vitamins and minerals. Non-GMO, Soy Free, Gluten Free, Organic, Kosher and made in the USA. FOR ACTIVE LIFESTYLES: A balanced meal to increase your protein intake whether you’re on your way to work, leaving yoga or on-the-go. Enjoy them as a breakfast substitute or an afternoon pick-me-up.